A great choice for any outing in any condition where low weight is of equal importance to strength, reliability, and roominess. The Nammatj GT with extended vestibule, is arguably one of Hillebergs most versatile tents. Made with their own Kerlon 1800 outer tent fabric and employing 10 mm poles, it is equal in strength and stability to Hillebergs Keron models, but because of its single entrance and vestibule, it is impressively light in weight. It is an exceptional choice for all season use in exposed and/or above tree line terrain, or for demanding, extended winter camping trips in extreme conditions, yet it is easily light enough for long trips in more moderate climes. 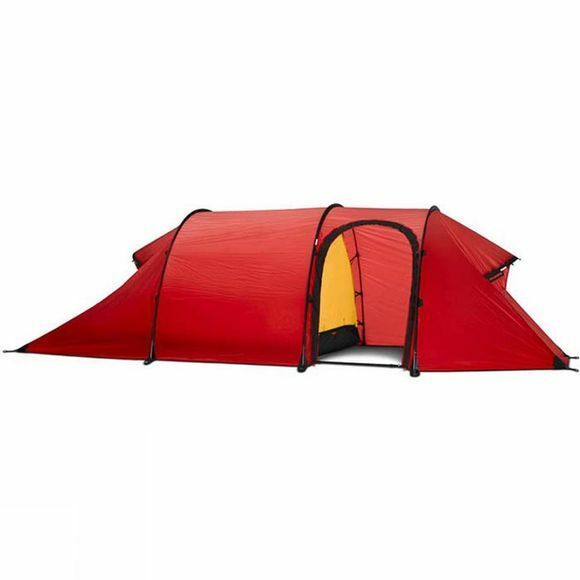 The Nammatj GT model has a smaller footprint then its Keron counterpart models, yet it has the same inner tent square footage, and so is excellent for limited-space sites such as narrow ridge lines or ledges. 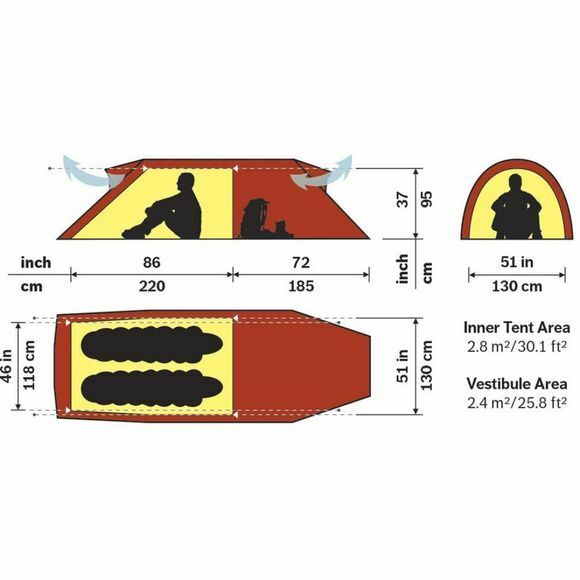 The tents' tunnel tent design is geared more for mobile adventures, where you pitch your tent every day, but it can be used quite effectively for base camp-oriented trips, as well.